As noted in an earlier post on Los Angeles home prices moving substantially up in 2012, Zillow is now projecting Los Angeles to have the 5th best increases year-over-year nationally in 2013. Zillow predicts L.A.'s housing market will see big price increases this year, partly because it's so beaten down that the only way to go is up. Humphries says median L.A. prices are back to December 2003 levels, "so affordability is looking quite good." Zillow estimates that median Los Angeles home values plunged 38% after peaking in early 2006 -- and while they've been rebounding since last March, they're still way down. The site puts the typical La-La Land house's current value at $414,900 -- 33% below 2006's $619,200 peak. If you are considering buying a home in the LA market, now is the time to act. 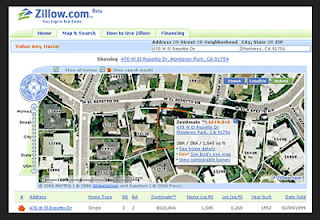 The average projected gain suggested by Zillow of 7.3 will not be spread out evenly. Expect Westside and South Bay properties to surge even more. If you are thinking to sell, you may want to hold on, or at least hold out for your price or higher. Anecdotal stories are being passed around of homes going for well over asking prices in sought after neighborhoods. Refinancing for home improvements is becoming more and more realistic with every passing month. As your equity increases, lenders are far more likely to be interested in your loan, and at historically low interest rates. If we can be of any help in securing a mortgage for your new home or refinance, please call 310-295-6213 and ask for Bill Rayman. Considerably, the article is really the actual freshest on this significant subject. I agree with your own findings and can thirstily look forward to the next improvements.I'll instantly grab your own feed to remain up to date with any kind of improvements.